Here’s a cute little idea. Scouring the Internet I came across a “I love you because” page that was a dry erase board using a picture frame and glass. I was so inspired to make one and I quickly hung it up in a place that would get great visibility. Within three days it fell off the hook and the glass shattered everywhere. Today I figured out the safest way was to laminate the sign. 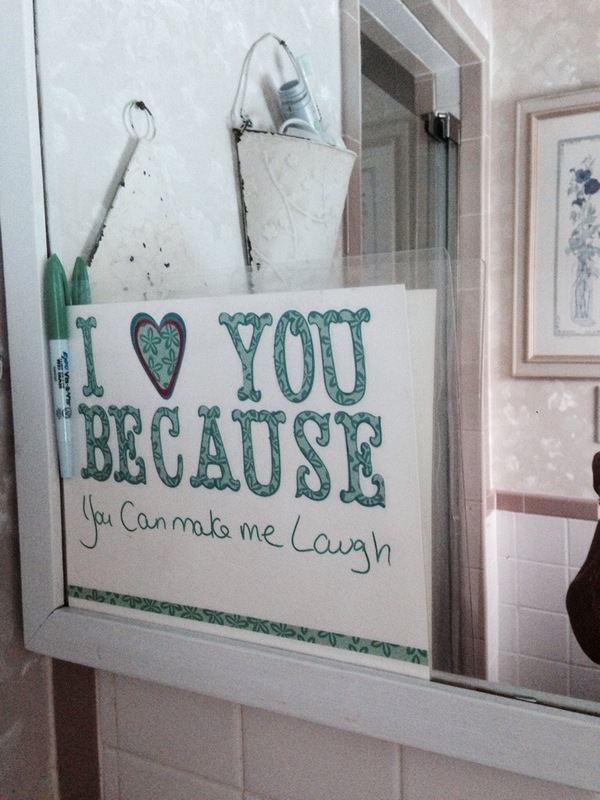 So now my “I love you because” has it’s official place on the bathroom mirror. My loved ones can see it every morning.